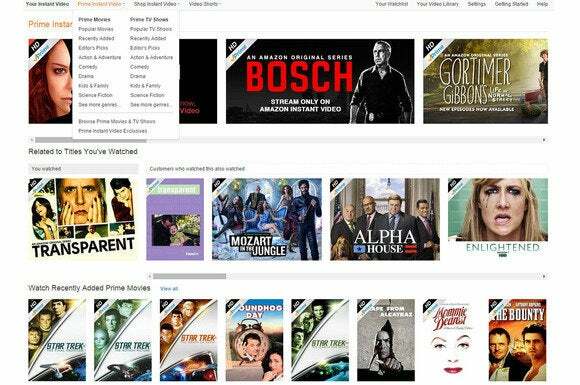 The content selection is fairly limited, but Amazon Instant Prime Video is currently the only streaming service delivering HDR content. A small selection of HDR-mastered Amazon Prime Instant Video content is now streaming to compatible LG OLED TVs, giving viewers their first true taste of the much-talked-about TV technology. HDR (short for High Dynamic Range) is one of the most important steps in the evolution of TV technology we’ve seen in a long time—even more significant than the ongoing transition to 4K resolution. This technology shows off the contrast between an image’s darkest and brightest spots—the higher the dynamic range, the better and more true-to-life the image. Accurate reproduction of HDR content requires a display with high contrast, expansive color gamut, and high peak brightness. LG has only recently turned its attention to the technology, injecting existing EG9600 series models with HDR capabilities via a firmware update and announcing the all-new EG9500 range featuring built-in HDR support. These two models—both available in 55- and 65-inch display sizes—join a handful of Samsung flagship SUHD TVs on the list of devices that can stream HDR titles from Amazon. The list of titles available for streaming includes Amazon original series’ Transparent and Mozart, as well as the pilot of forthcoming comedy series Red Oaks. When it comes to displaying HDR content, LG likes to insist that its OLEDs are second to none, citing how well its OLED models deliver pure colors—especially the sort of perfect blacks that are simply beyond the current capabilities of rival display technology. However, it’s a shame that only a couple of the company’s much-vaunted and super-expensive 4K OLED TVs should support this feature. “LG OLED technology is perfectly suited for HDR content because it delivers the perfect black that only OLED TVs can achieve. By starting from perfect black, OLED is able to produce the required light ranges at lower peak brightness, resulting in an exceptional—and more comfortable—HDR viewing experience,” the company said in a press release Thursday. Why this matters: A handful of HDR titles may not seem like much, but it’s a whole lot better than nothing at all. This announcement gives those who’ve invested significant sums in LG’s HDR-capable OLEDs something to bide their time, while they wait for other content providers to arrive on the scene and help get the HDR party started in earnest.